If you are looking for a truck that will get the job done without an issue you have come to the right place! The Ram 1500 has delivered power and capabilities to the workforce for years and years and in 2019 they are continuing that tradition with the introduction of the Ram 1500 Classic model! This truck exudes the iconic Ram style that you have come to know and love and all the features and proficiencies that help you get your daily tasks accomplished. Ready to learn more about this beast of a truck? Read on down below! What can you tell me about the Classic's features? The Classic model is offered in four trim levels in the 2019 model year. They range from the entry-level Tradesman to the new SSV or Special Services Vehicle. There are three cab styles offered so you can choose the style you need based on how many people will be coming along for the ride! There is a Regular Cab, Crew Cab, and Quad Cab. There are also two bed lengths: a shorter 5'7" bed and the standard 6'4" bed. The Classic's command center will help you stay on top of all your tasks throughout the day with the Uconnect infotainment system, smartphone integration, navigation, and Bluetooth! Ample storage spots throughout the cabin will help you stay organized too! You can store frequently needed tools under the rear seat and extra gloves and measuring tapes in the easy-access glove compartment! Ram is also offering a few packages for the 2019 Classic so you can outfit your chosen model with all kinds of additional features to meet every single one of your needs. What kind of engine options does the Classic offer? Getting the job done is easy thanks to the three incredible engine options offered for the 2019 model year. 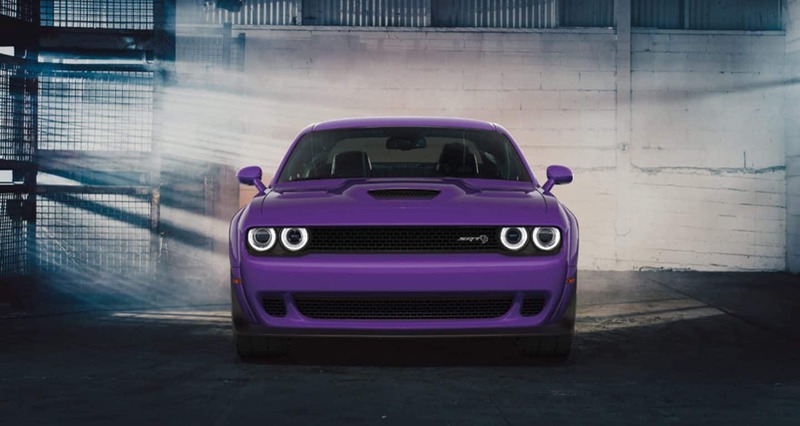 The first, a 3.6-liter Pentastar V6, generates 305 horsepower and 269 pound-feet of torque. This engine is equipped with Variable Valve Timing for maximum efficiency and power! Fuel economy is estimated to be around 25 miles per gallon on the highway. Need more power? Check out the 5.7-liter V8 which cranks out 395 horsepower and 410 lb-ft of torque. With this engine, you can expect to get up to 22 miles per gallon with regular highway driving. If you are looking for a diesel engine you are in luck! A 3.0-liter EcoDiesel V6 engine will be offered for this truck. Cranking out 240 hp and 420 lb-ft of torque, this engine reduces your greenhouse gas emissions while simultaneously delivering you the torque you need! There are multiple drivetrain configurations available including a four-wheel drive option so you can get to work no matter what the terrain looks like! All engine options, no matter the drivetrain, are mated to an eight-speed automatic transmission. Is the Classic a safe truck? You can feel safe and secure behind the wheel of the 2019 Ram 1500 Classic! This truck is built with high-strength steel creating a bodyguard like defense around the passengers inside in the event of an accident. Other features the make driving safer and easier include the standard rearview camera so you park like a boss and avoid those tricky obstacles you may come up against at the construction site, six standard and sophisticated airbags installed throughout the cabin, Electronic Stability Control, four-wheel disc antilock brakes that help prevent wheel lockup, Keyless Enter 'n Go, remote vehicle start, and an individual tire pressure monitoring system! The Ram 1500 Classic model is ready to hit the ground running and keep you safe while getting the job done. Would you like to learn more about the 2019 Ram 1500 Classic and all that it has to offer to make your life easier? Head down to the dealership today to check out these bad boys in person. You can try out all the great features and take a test drive to feel the engine power for yourself! We are looking forward to working with you.